Our highly professional team welcomes you on modern and comfortable boats to take you to exclusive destinations away from the crowds. Your holiday in our wonderful region is short – let us convince you, that we have the best operation for your day out to the islands! Beehive trans operated by Similancharter&Tour offers secure and timely transfer service. whether from the airport to Khao Lak, Phuket and All area. We provide a qualified and professional service with quality standards and exceptional price. 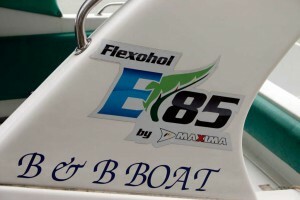 Eco friendly Ethanol85 fuel on all boats! The Similans are the prototype of a tropical island paradise. Crystal clear waters, pure-white sandy beaches and impressive rock formations make them one of the most beautiful places in Thailand. The Similan Islands are a must see destination for every visitor to Khao Lak hence they are highly frequented by day guests. Our daytrip includes a snorkel stop of the solitury Koh Bon which adds an exclusive highlight to our Similans tour! 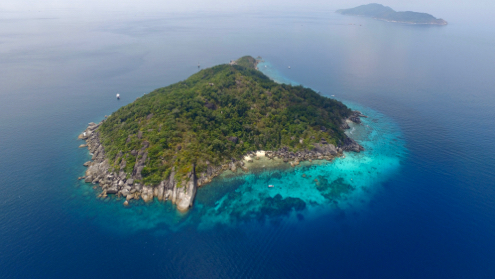 Two big, picturesque main islands form a small archipelago which hosts Thailands healthiest snorkel reefs. Due to their remote location the Surin Islands are less visited and the reefs around the islands offer the best snorkel places in Thailand. The Surins are definitely the top recommendation for everybody who is looking for an outstanding snorkel experience! 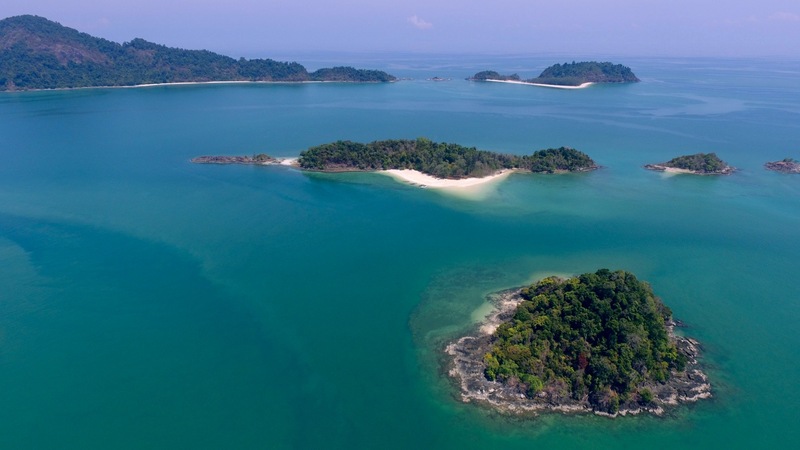 Between Khao Lak and Ranong are five nearly unknown islands with breathtaking landscapes, lonely beaches and a secret lagoon. The Kam Archipelago is our brand new exclusive destination, perfect for everybody seeking the lonely tropical island paradise. The five uninhabited islands offer something for ever taste: swimming in the azure blue waters, expeditions into the jungle or just relaxing on the wonderful beaches. Our main motivation is to provide high quality in all aspects of our operation. Our choice of destinations and itinerary is always tailored to avoid mass tourism, hence we are currently developing new and exclusive destinations for our guests. 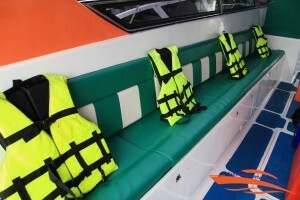 All our boats are brand new, constantly maintained and state of the art. 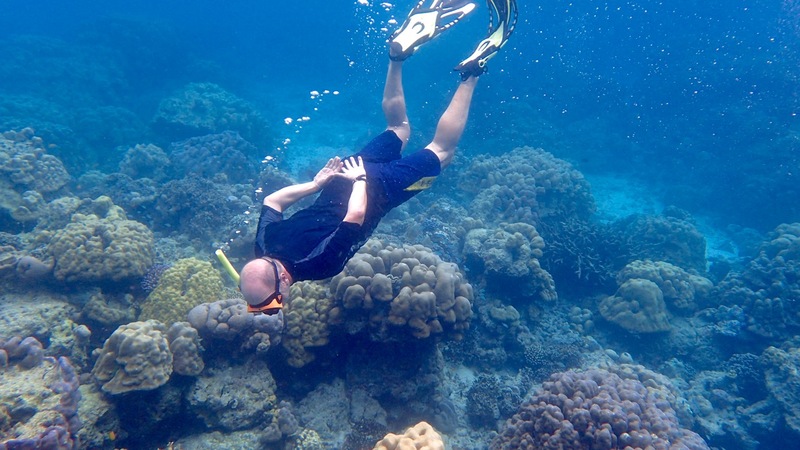 All our snorkel equipment, life-vests, food and beverages are the quality best available – come and see for yourself! Out at sea our first priority is the safety of our guests and our crew. 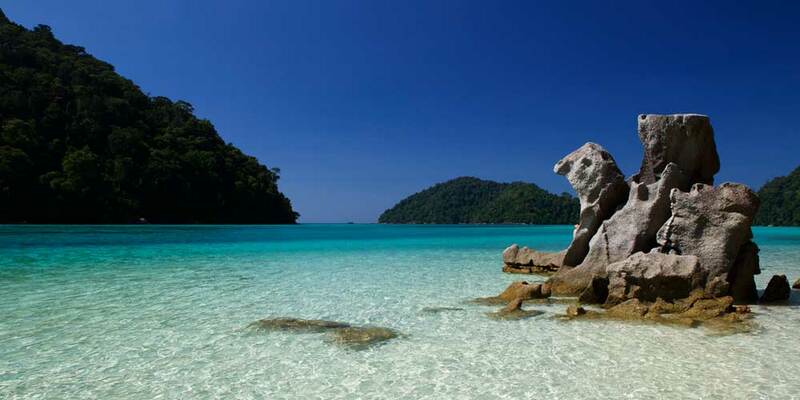 In high-season between November and April the Andaman Sea is mostly calm and picturesque. Yet this is a part of the Indian Ocean and therefore has to be met with the highest respect. We have been working on these waters for 30 years and our staff can evaluate and identify potential risks and dangers to our guests beforehand. Please understand if we cancel a daytrip in short notice because of risky weather and sea conditions – we do not take any risks for our guests! We highly value our unique eco-systems and are very serious about their preservation for the future. In 2013 we re-euipped all our engines to run on environmentally friendly Ethanol85 fuel. The exhaust pipe on speedboats is located inside the propeller below the water line, all fumes are directly injected into the sea. Conventional engines exhaust a high amount heavy metals and oil residues. The fumes from Ethanol85 engines contain up to 80% less harmful chemicals. E85 engines consume less fuel in general therefore less exhaust fumes are emitted. 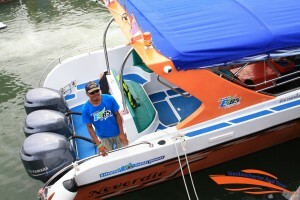 Similancharter & Tour is currently the only speedboat operator on Thailands west coast to use eco-friendly Ethanol85. The best way to book a tour with us, is via email. Our english- and german speaking staff are checking enquiry emails constantly nearly 16hours a day, but most of the time they are involved in daily operations. So you’ll have a higher chance of getting an instant reply via email, than catching us via a phone call. After your initial enquiry and both of us agreed about the booking, we will send you an E-Voucher, which acts not only as your tour ticket, but also as your passenger ID for the hotel pickup and as a reference in case you want your hotel reception to get in touch with us about any details. Most of the tour fee, we want on the day of your departure and you can pay at the pier shortly before you leave on the boat towards paradise. We need a 30% deposit of the total tour price to secure your future spaces on your required tour – this can be paid by either paypal, credit card payment handled by paypal or an international bank transfer. If you are already in Khao Lak, we can send a member of staff into your hotel to collect the deposit, if you wish so. 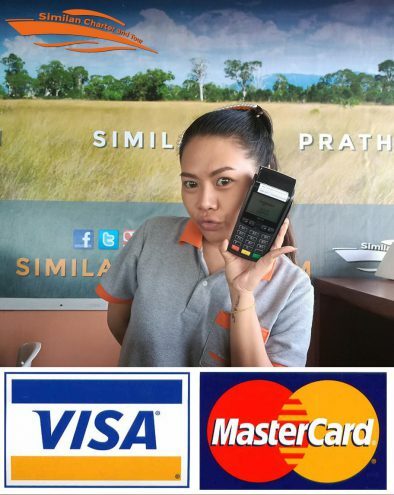 For balance payment on morning of departure, we accept either cash, visa or mastercard. 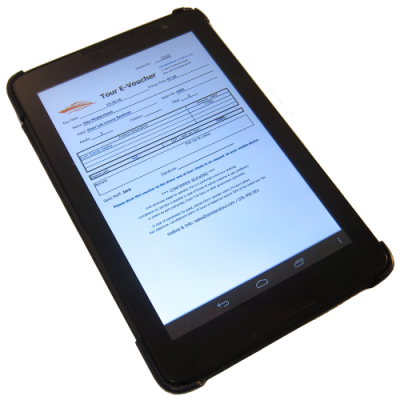 Your online E-Voucher – can be either presented via your mobile device or print-out.